I've been thinking about Christmas this week (I can hear your gasps of horror!) But this year I am pushing myself and making lots of presents. (Hence why I am starting now.) So I am in need of supplies. I thought about going to the posher London fabric streets but as I'm short on cash money this year. I re- thought and decided to go to either Goldhawk Road or Walthamstow again in the footsteps of the lovely Karen and you fabulous Sew Weekly ladies. I would love for people to join me! Please spread the word to people who don't follow me too this is for everyone!!! I was thinking about around the 12th of November but that can be changed if there is a better date. So what do you say? It would be great to have a big group! If you would like to come on the Great Fabric Excursion please either leave a comment or email me on beebeesvintagedress@hotmail.co.uk and put the subject as "Fabric Excursion!" Much as I would love to come, I don't want to buy any more fabric (must be sick or coming down with something! 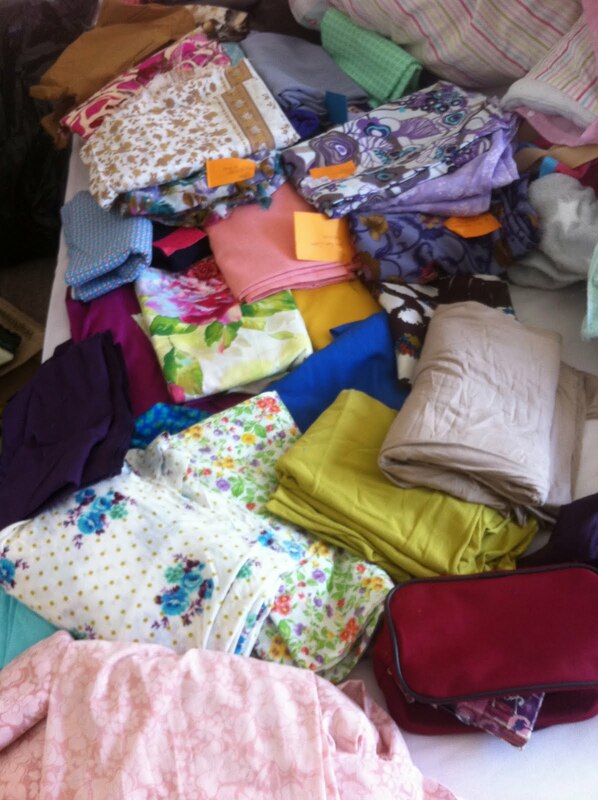 :) ) at this moment, until I have sewn up some of my current stash. Besides which I need to save my pennies for Harrogate's Knitting & Stitching Show at the end of the month , where I am sure to be viciously attacked by some fabric & things. I'm in London on 5 November, at The London College of Fashion, for some knitting lectures! Don't know if this would be any good. But I'm not sure anyway yet if I could combine the two at all. I wouldn't be able to make it on the 12th unfortunately, because of this. Hope you have a great time anyway! Don't think I'll be able to make it, but thanks for letting me know and I hope you tell us all about it and where you got the best bargains! Of course I will, I'm sad you can't make it. But I totally understand its fairly short notice for people! I'm a recent Sew Weekly joiner and I've not been on a fabric outing yet. I'd have loved to come along - but I could have only done the 12th - on the 19th I'll be on a sewing course at Morley college looking at designs in Pattern Magic book. I'm pretty excited about the course though - and will report back when I've done it. That sounds fab! I hope you have a lovely time and we'll see you on the next one!